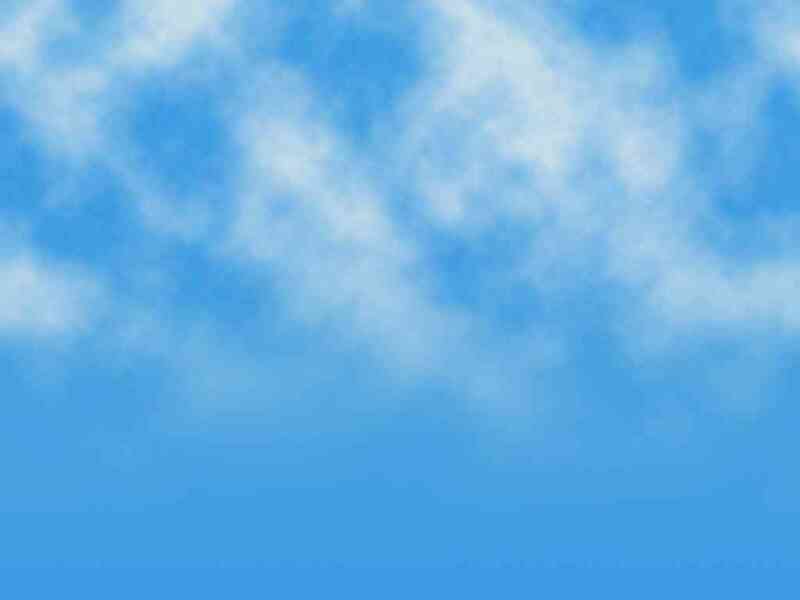 click here or logo to go back to home page. 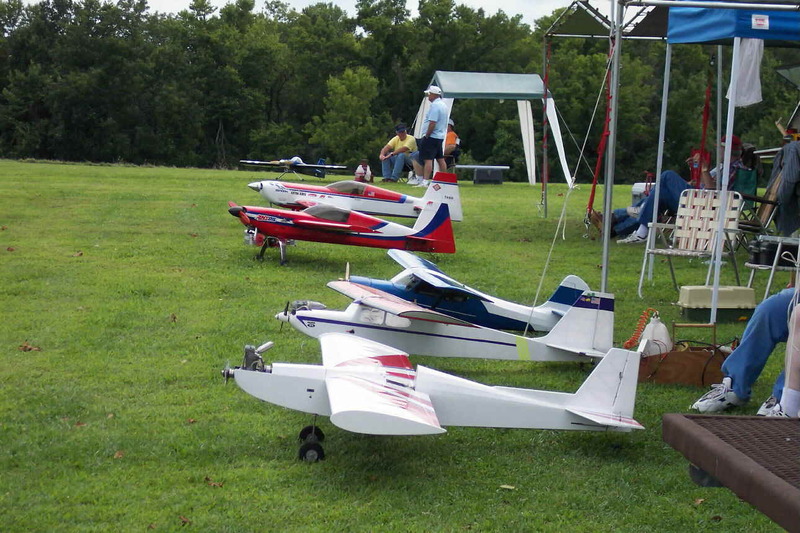 click here for Spring Fly-In photos. Click photos to get larger versions. 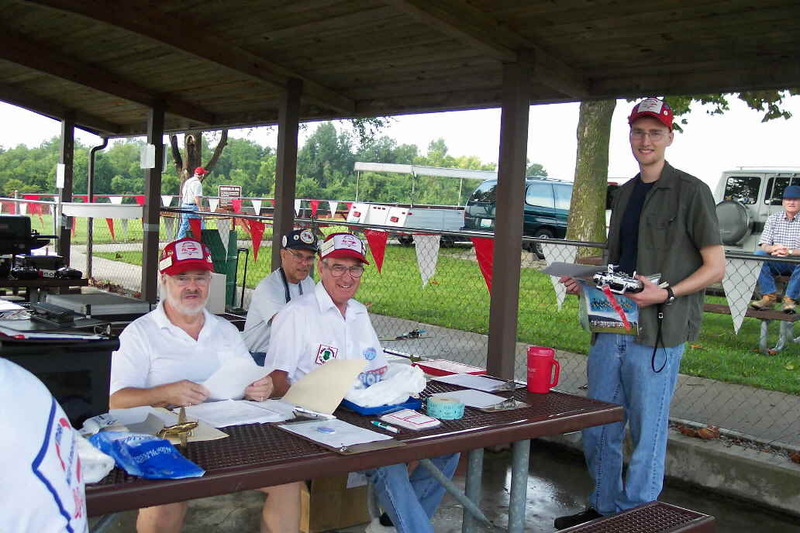 Registration station left to right: Harold Witte, Jerry Edwards, and Rob Clay registered and ready to fly. Roy Courier doing....what the heck are you doing Roy? 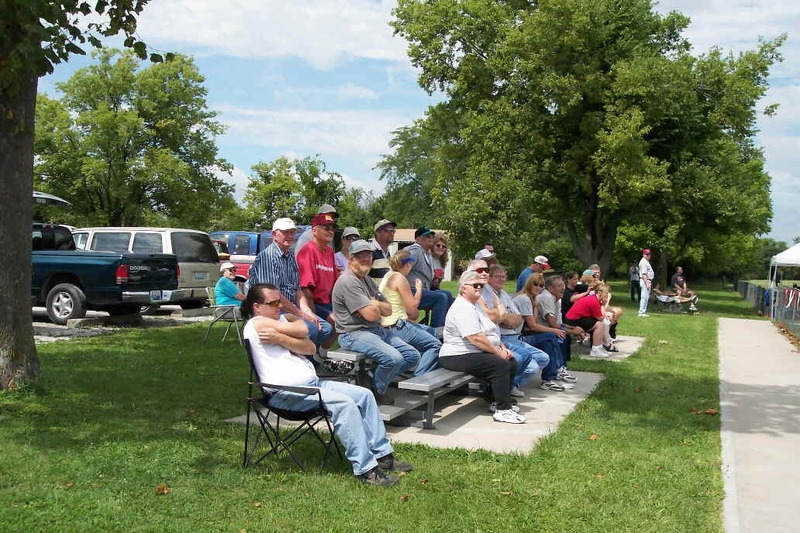 Spectators filled the bleachers all day enjoying the flying and beautiful weather. Dennis Brooks answering questions about his big B-25 under construction. 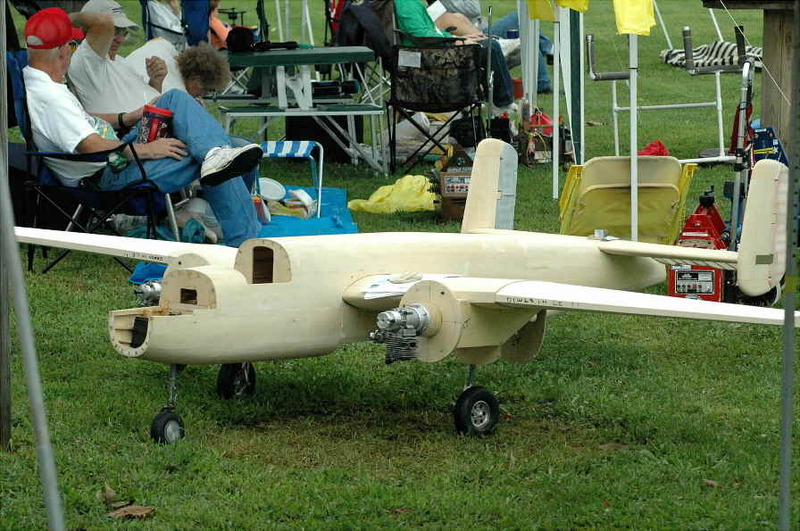 Brooks B-25 has twin Zenoah G-62 engines and a wingspan of 120". Dennis also designed his own retracts. Mike Scott with his Sig Kadet.with the wingspan extended to 80" to make it IMAA legal. Powered by an OS 61. 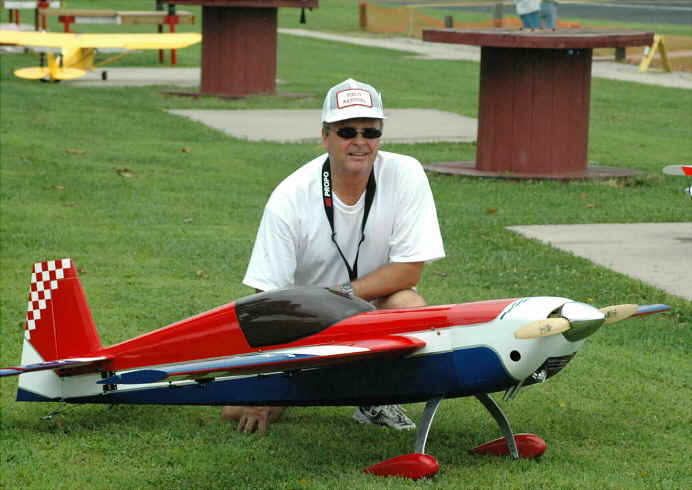 Club VP Rick McLeod with his 22lb, 33% scale Extra 300, 100" wingspan, J&A 4.2 cubic inch engine. 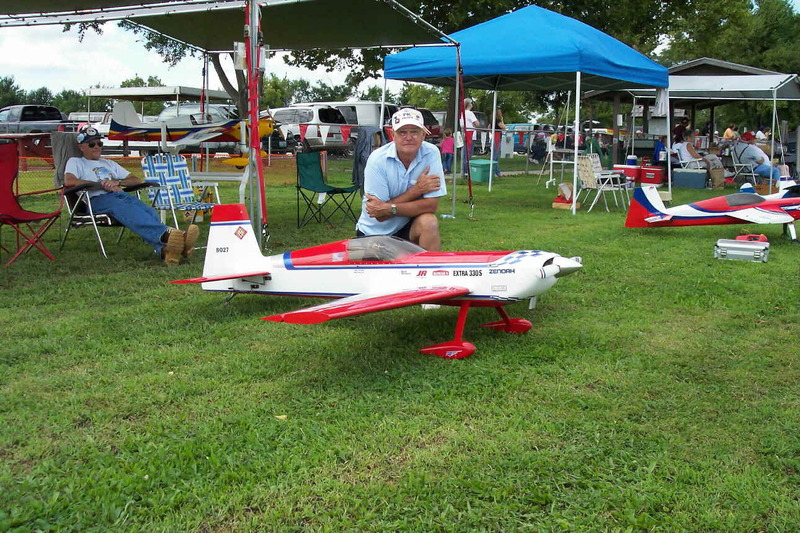 Jim VanLoo with his 82" wingspan Super Chipmunk by Ohio RC, powered by a ST2300. 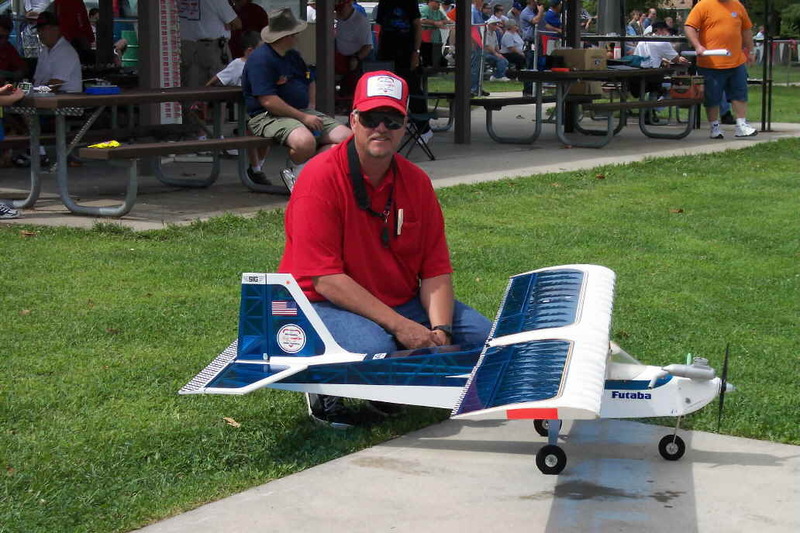 Bernie Evenson brought his big Lanier Laser 200, 97" wingspan, powered by a Zenoah G-62. 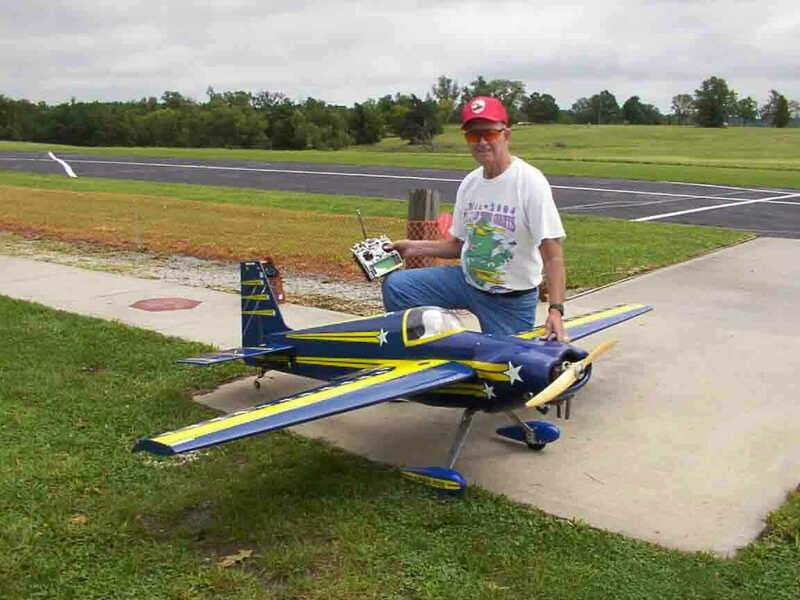 Phil Kovar came in from Milford, KS and brought his Hanger 9 Extra 330S, 97" wingspan and is powered by a Zenoah GT-80 twin. 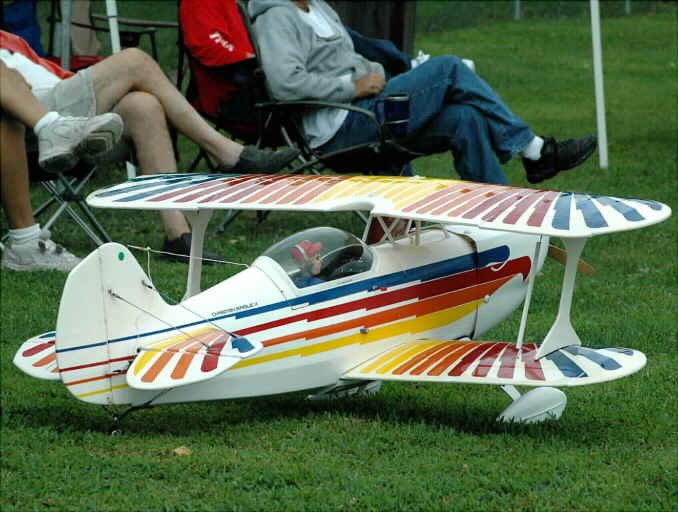 John Caoile brought his Byron Originals Christen Eagle powered by a Quadra 42. 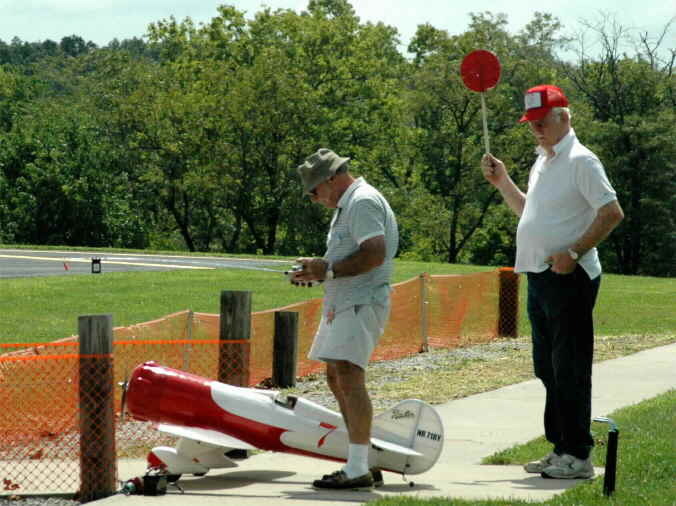 Bill McDonald checks for traffic and signals for takeoff while Don Stevens checks controls of his Pacific Aeromodels Gee Bee Y. Powered by a Saito 180. 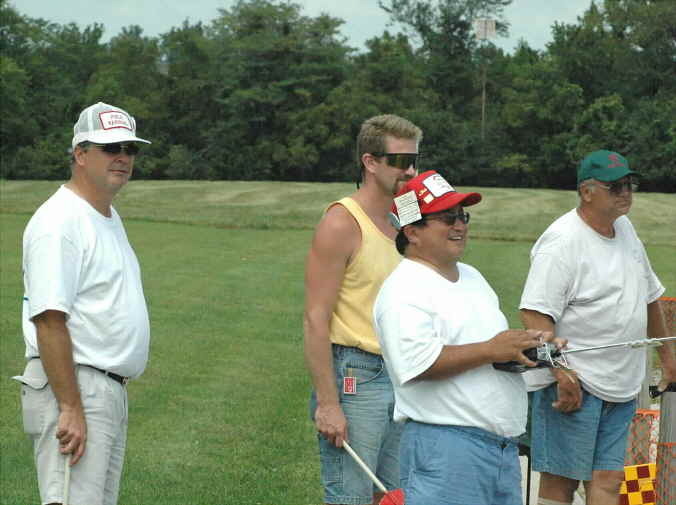 Lymon drove down from Bennet, Nebraska and brough three airplanes. Here he is with his 82" wingspan CAP 232. Powered by a 3.2 cubic inch engine. 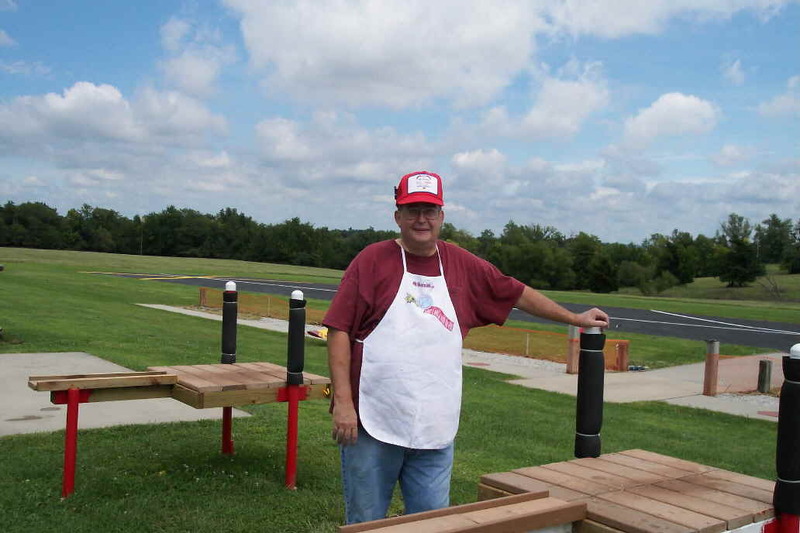 GrillMaster Ed Wolf kept the hot dogs and smoked Polish sausage coming nearly all day long. 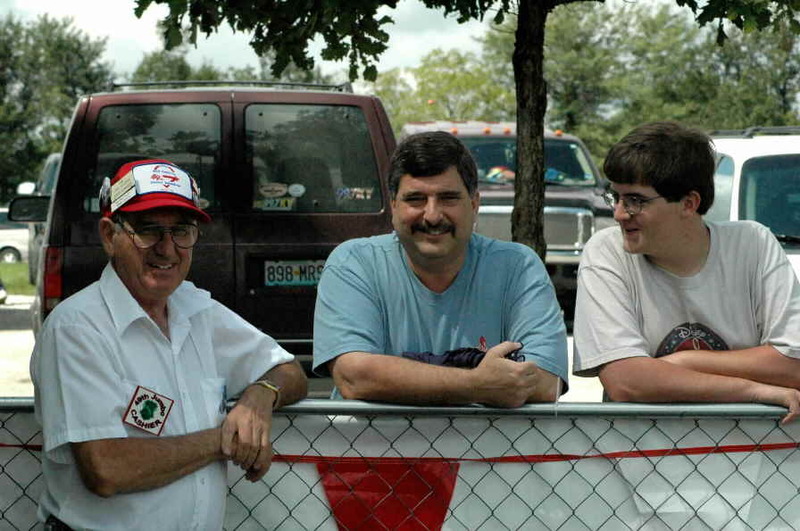 We thank Ed and his crew for their efforts. 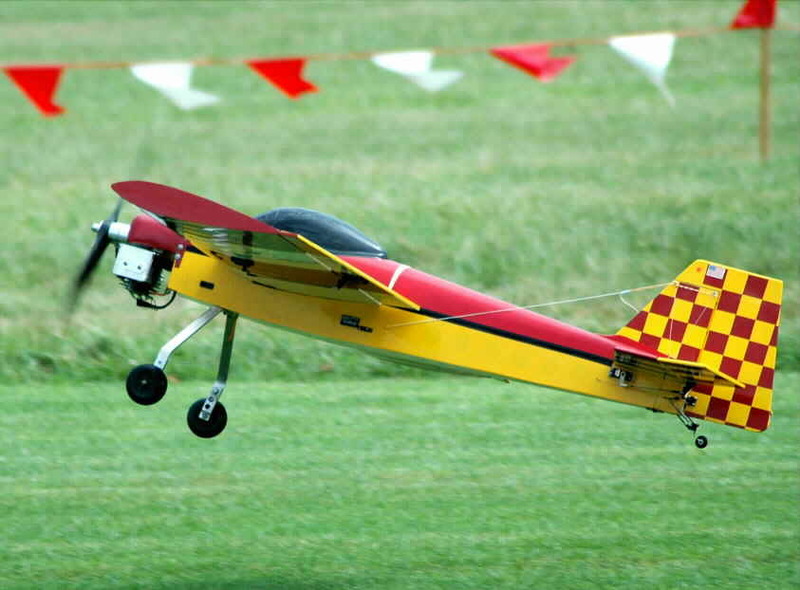 Lymon bringing in his Lanier Stinger in for a slow landing after entertaining the spectators with his 3D flying. 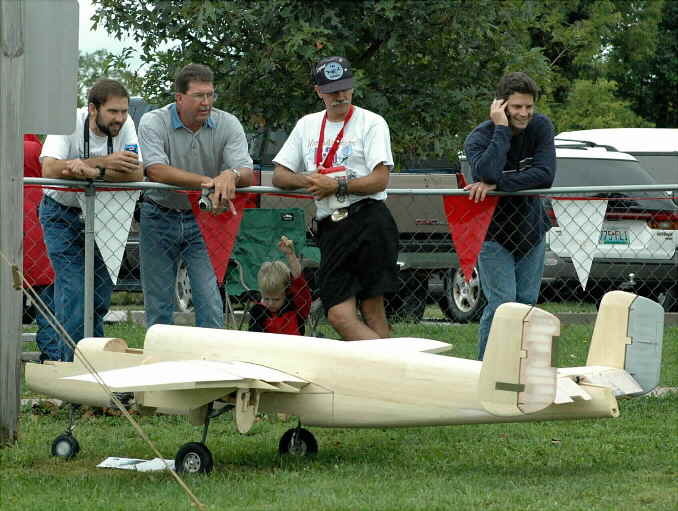 84" wingspan, 19 lbs, powered by a FPE 4.2. 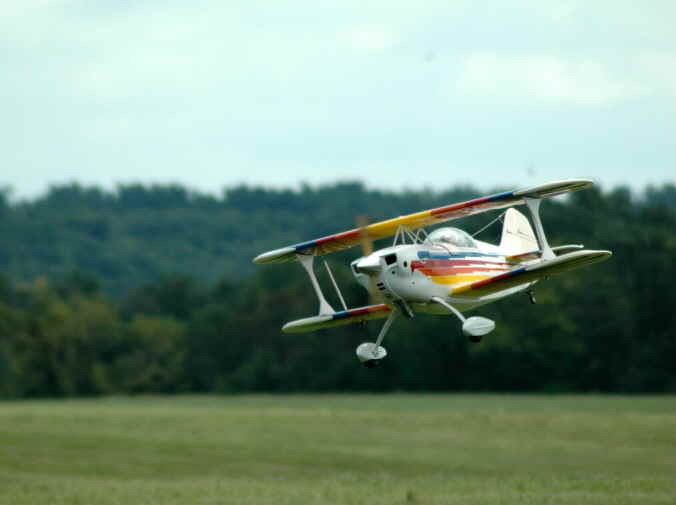 John Sincox brings his Balsa USA J3 Cub in for a gentle landing. 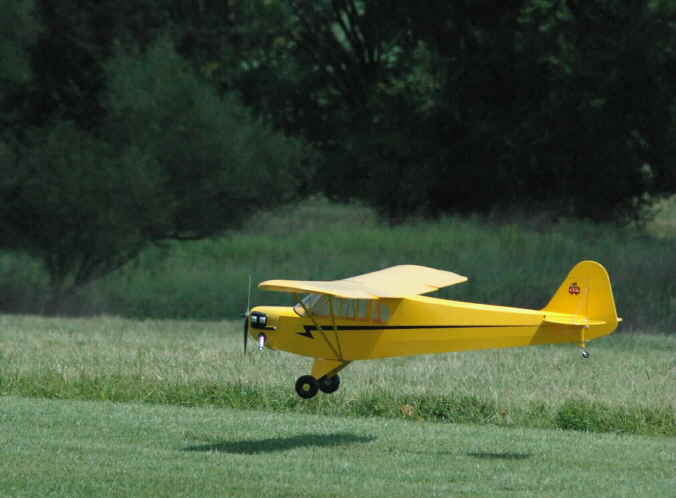 The Cub weighs 12.5 lbs with a 108" wingspan and is powered by a Thunder Tiger 91. Caoile's Christen Eagle on final approach. 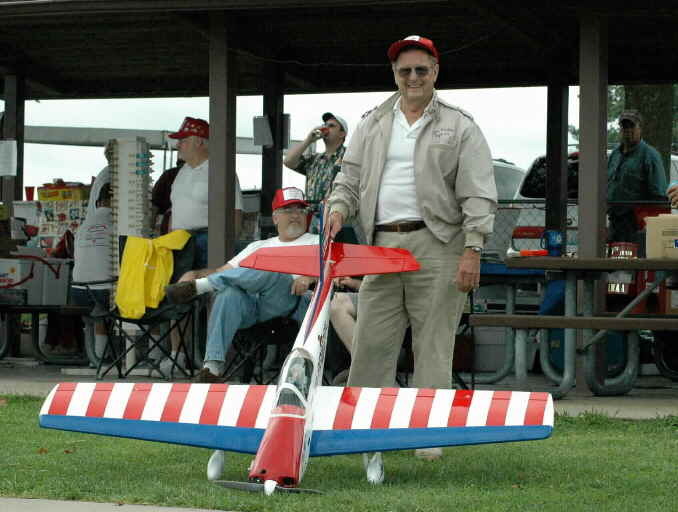 Mike Scott doing a fly-by with his Senior Kadet. We especially liked the decal on the tail of his aircraft. 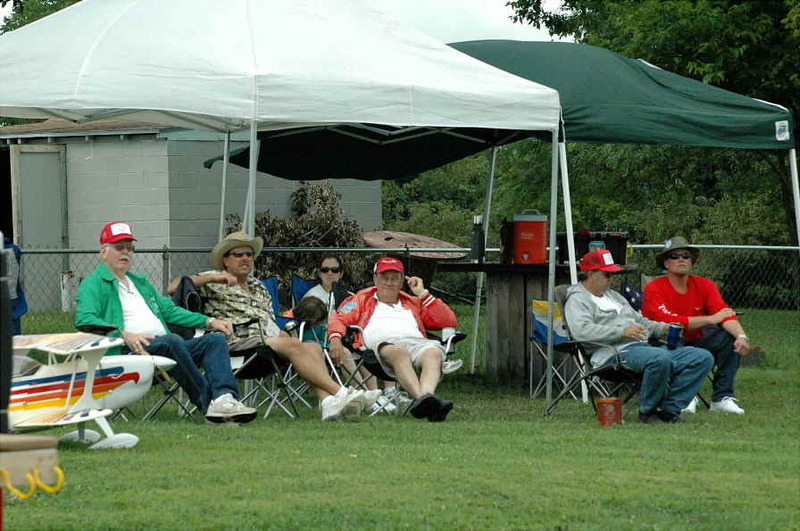 Jerry Edwards always working the crowd and recruiting prospective new members. Caoile needed alot of help fllying the Christen Eagle. 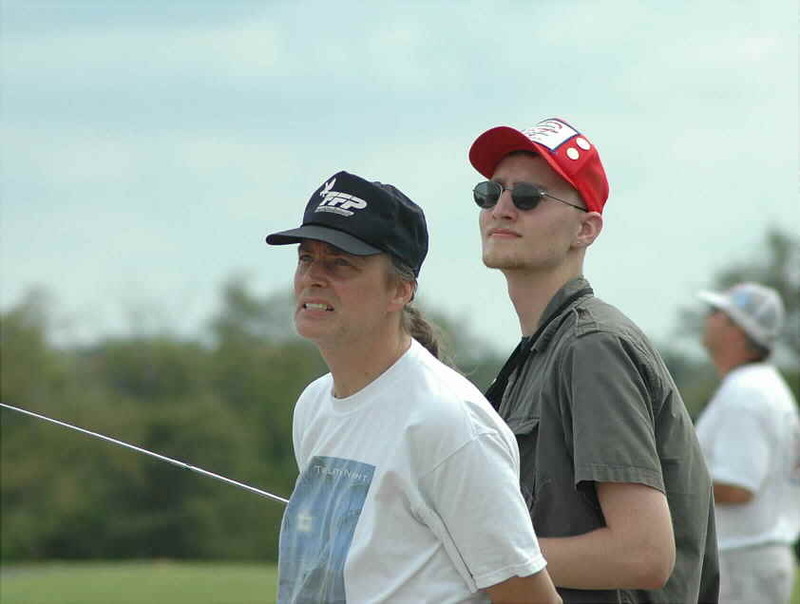 Rick McLeod on the left was doing the spotting. 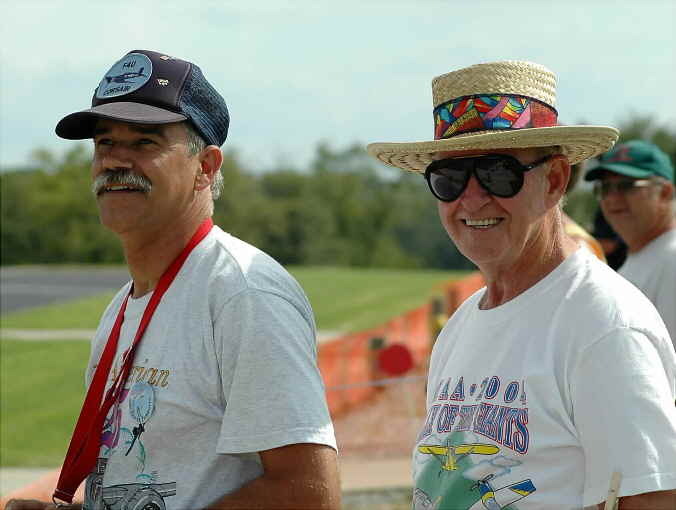 John Clay spots for his son Rob while he pilots his "Bellanca Telemaster". Bernie Evenson spots for Dennis Brooks. Dennis was flying his Ultra Sport 1000 with retracts. 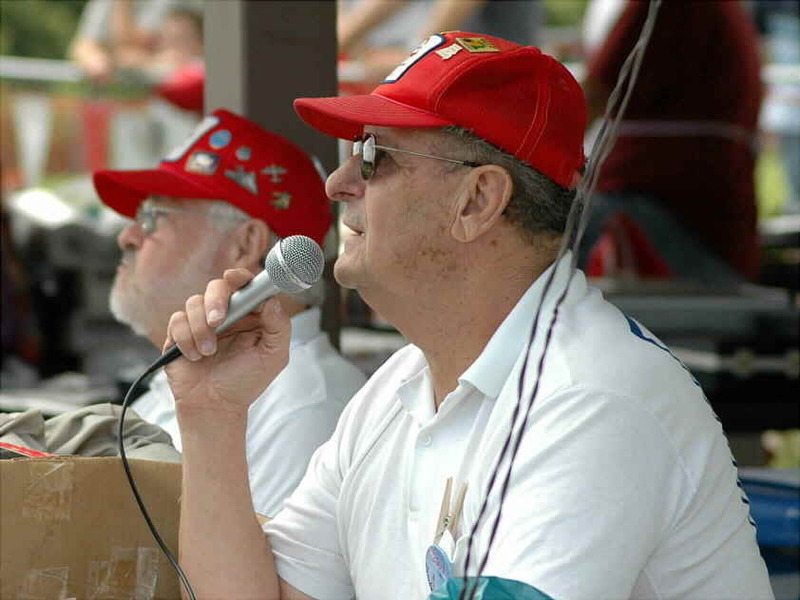 Jim VanLoo manned the PA system and did a great job of informing the pilots and public of the activities.